This is one of those pictures that really is worth ten thousand words. 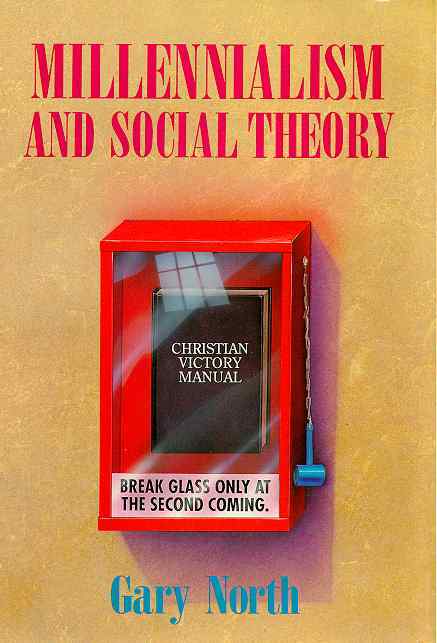 It summarized this book’s thesis: the cultural bankruptcy of modern evangelicalism and its chief cause, the doctrine of Christ’s momentary return. Modern evangelicalism is like that fellow with the sign, and modern humanistic society takes its message just about as seriously as Herman does. A movement that believes the message of that sign is not going to produce a comprehensive challenge that is meaningful or even plausible to the Hermans of this world. Christianity cannot beat something with nothing. People who think they have time only for a cup of coffee and reading a gospel tract have nothing much to offer a civilization in crisis.